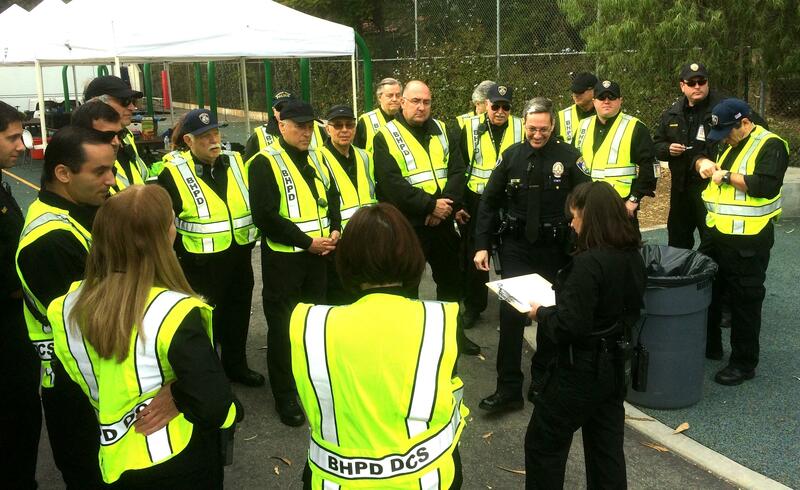 The Beverly Hills Police Department's Volunteers on Patrol program consists of volunteers who generously donate their time to assist many areas of the Department. They are an integral part of the Department's successful Neighborhood Watch Program, which educates citizens concerning crime prevention and safety issues. For more information on the Volunteers In Policing program, please contact the Volunteer Coordinator at (310) 285-2135. The Disaster Communications System provides auxiliary radio communications for the City of Beverly Hills when telephone, cellular, or two-way radio communications become overloaded or fail as a result of a major incident or disaster. DCS is staffed by dedicated individuals who volunteer their time, amateur (HAM) radio equipment, knowledge and expertise to the City during emergencies or special events. DCS members are a vital part of the City's Emergency Preparedness Plan and are available 24 hours a day to help. During emergency operations, DCS members are directly linked with the City's Emergency Operations Center at the Police Department. Membership includes representatives from many City Departments, BHUSD, local residents and community leaders with diverse backgrounds in many fields. DCS is enthusiastically supported by the City Council, City Manager, and the Chief of Police. By participating in DCS, members provide an important service to the community. Being a part of DCS is entirely voluntary, and is available only to those individuals who wish to actively participate in the group's activities (meetings, training sessions, radio nets, special events, etc.) which are held throughout the year. It also provides a rewarding opportunity to meet new people. For more information, please contact the DCS Coordinator at (310) 288-2672.